Sorry I missed Monday's review. I worked an unexpected 11 hr shift and literally came home and passed out. But I promise that I won't miss another one again!!!! 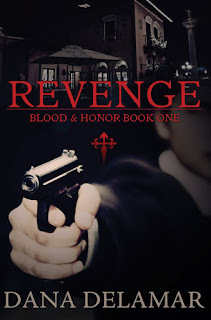 Today I have an awesome book for yall to read..."Revenge" by Dana Delamar is a mob love story. But, it is so good and has all this awesome, thrilling turns that keep you guessing what's going to happen. Kate Andretti is married to the Mob—but doesn’t know it. When her husband uproots them to Italy, Kate leaves everything she knows behind. Alone in a foreign land, she finds herself locked in a battle for her life against a husband and a family who will “silence” her if she will not do as they wish. When her husband tries to kill her, she accepts the protection offered by a wealthy businessman with Mafia ties. 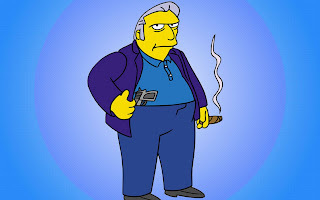 He’s not a mobster, he claims. Or is he? Enrico Lucchesi never wanted to be a Mafia don, and now he’s caught in the middle of a blood feud with the Andretti family. His decision to help Kate brings the feud between the families to a boil. Attacks from without and within push them both to the breaking point, and soon Enrico is forced to choose between protecting the only world he knows and saving the woman he loves." Kate is married to a monster and doesn't even know it. She can't understand her husbands mood swings that change from day to day. When he hits her than leaves for work, she decides that she is going to leave him and go back to her family in America. She works in a children's home for a Mafia Don, although she doesn't know she works for a Don. When her husband comes and tries to kill her Enrico steps in and saves her life. He offers her protection and tells her that once the war is over he will get her back to her family. But, things never go according to plan and Kate soon finds herself in a crazy situation. Will Kate escape with her life once she knows the truth or will she lose the battle for her life and sanity? This is a really good book, especially if you like adventure, romance, and twists and turns while you are reading a book. You get so drawn into it that you find yourself rooting for Kate and loving that this is a main character who refuses to be pushed around by a overbearing, abusive husband.